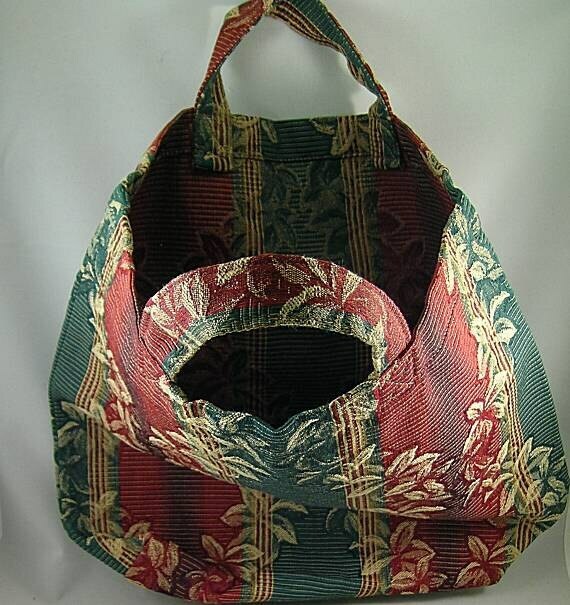 Carry all your "stuff" in a period fashion! 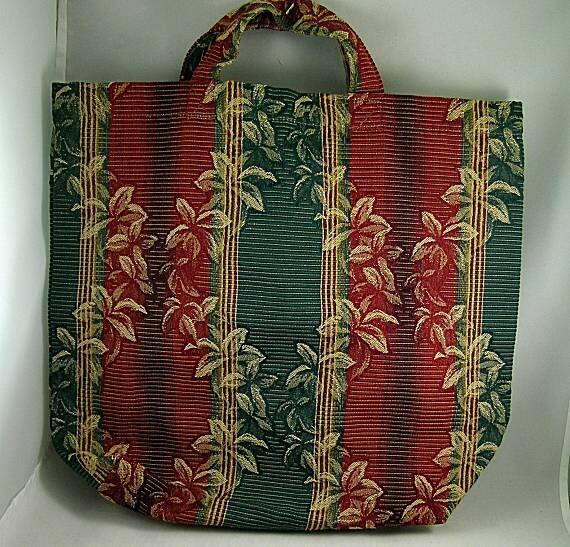 This dark green and burgundy fabric looks great as a shopping bag and is sturdy enough to carry heavy objects. Many paintings and woodcuts show shoppers carrying bags like this one while shopping in the market. It is 15" deep and approx. 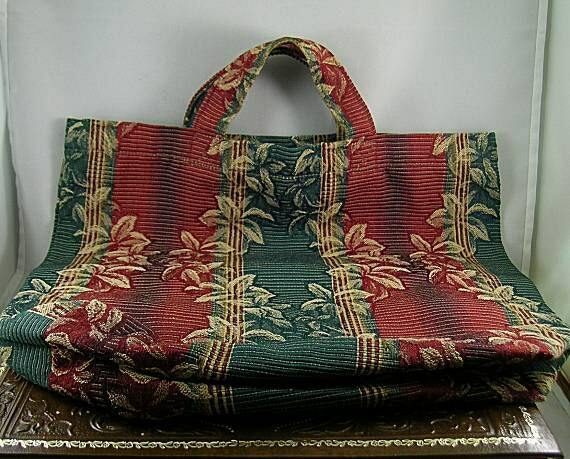 13 1/2" wide when folded in half so it will carry quite a few of your belongings or purchases. Please look in the Purses and Pouches section for personal bags. 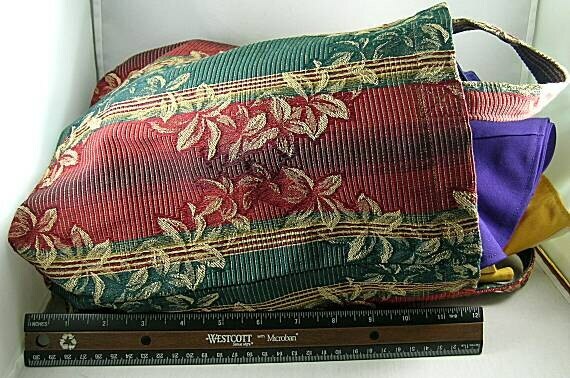 Very helpful vendor; the bag arrived in a timely manner and was just as pictured on the site. Very pleased and would certainly consider purchasing from this store again.